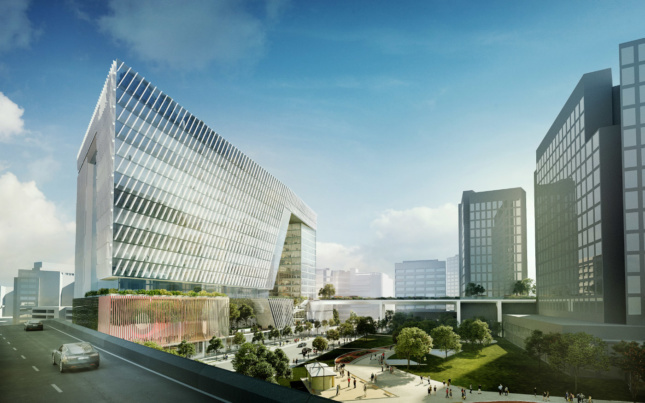 New renderings have been released for Adobe’s latest addition to its San Jose, California, headquarters, an 18-story office tower designed by multinational architecture firm Gensler. 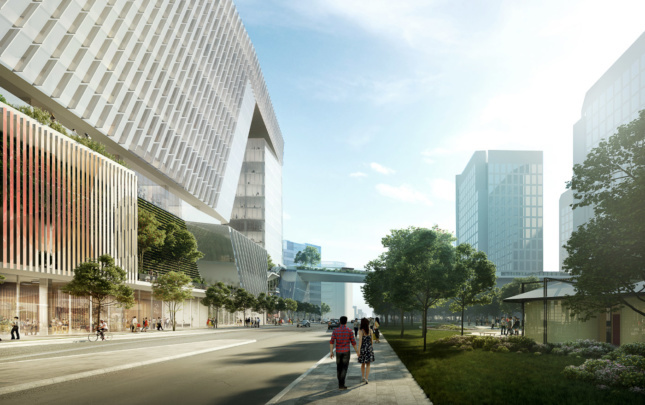 The tech company filed finalized plans with the City of San Jose last Thursday, according to The Mercury News, and the new building could hold up to 3,000 employees when complete. 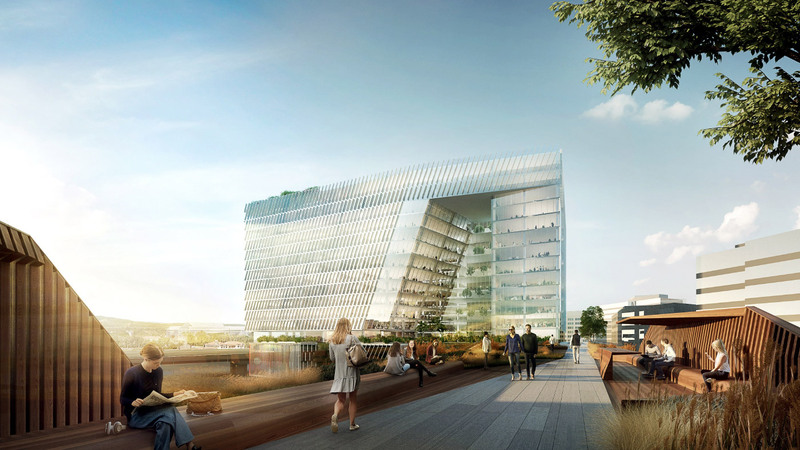 The building would be an addition to Adobe’s existing complex. It has been dubbed ‘North Tower’ and will sit on the northern side of the campus. Adobe is considering making the tower a mixed-use building and plans on building out 650,000 square feet of retail and office space in the tower, as well as above- and below-ground parking. The building itself will be linked with the other offices via a sky bridge and will sit to the east of the adjacent State Route 87. As shown in the renderings, Gensler has taken a playful approach to the building’s massing and cut a massive triangular gap in the tower’s upper section, reminiscent of Adobe’s stylized “A” logo. Diagonally-slanted louvers will wrap the building and run parallel to the cutout, and Adobe will use the open space created by the cutout to lay a plaza on top of the retail podium. A series of smaller rooftop gathering spaces are planned for the building’s other setbacks. The sky bridge will feature concrete pavers and wood seating areas alongside plantings of native grasses, evoking a High Line-type feel. According to Adobe, construction is expected to begin sometime in 2019. Adobe is far from the only tech company to pursue a new headquarters this year: Gensler’s NVIDIA building opened, Google and BIG unveiled a new campus in Sunnyvale, Microsoft revealed that it would be upgrading its Redmond, Washington complex, and the search for an Amazon HQ2 host city has kicked into high gear.